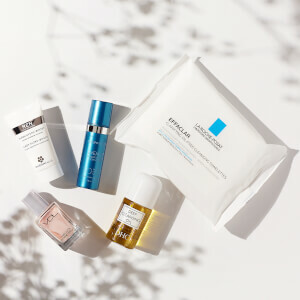 B. Kamins Dry To Normal Skin Starter Kit combines four essential skincare products designed to treat dry to normal skin types. The cleanser and targeted moisturizers work to promote brighter, smoother, younger-looking skin. A gentle cleanser suitable for sensitive, post-microdermabrasion or laser-treated skin. The mild cleanser contains a host of clarifying and moisturizing ingredients to deeply hydrate skin whilst lifting away makeup, dirt and impurities, including waterproof mascara. Its oil, fragrance and color-free formula is gentle and non-drying on skin, leaving the complexion radiant and supple with improved elasticity. A lightweight daily moisturizer that replenishes natural moisture levels whilst protecting against damaging UV rays and premature ageing. Delivering a veil of protection, the non-greasy cream expertly hydrates whilst feeding skin with essential nutrients and long-lasting hydration. Its antioxidant properties keep skin protected, and its lightweight texture is an ideal makeup primer. 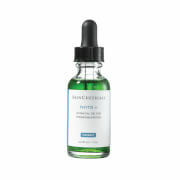 Skin's resilience, radiance and firmness is boosted, and fine lines and wrinkles appear reduced. Can be reapplied over makeup without smudging. A highly concentrated night-time moisturizer infused with a host of antioxidants, essential nutrients and powerful humectants to revitalize dull, fatigued skin. Utilizing Episphere-Blue™ Technology which delivers time released Vitamin E, the cream expertly moisturizes and repairs to leave skin with a smoother, radiant finish. The complexion is plumped with moisture and protected while you sleep. A lightweight, hydrating eye cream that targets signs of ageing and fatigue to inspire brighter, smoother-looking eyes. Utilizing Episphere-Blue™ Technology which delivers time released Vitamin E to moisturize and repair, the eye cream helps reduce the appearance fine lines, wrinkle, puffiness and dark circles and contains light deflectors to make eyes appear brighter and firmer. Ultra-hydrating and non-greasy. Cleanser: Gently massage and rinse thoroughly. Use to remove makeup including waterproof mascara. Discontinue use if skin irritation develops or increases. If irritation persists, consult a health care practitioner. Avoid contact with eyes. Day Cream: Apply to face and neck, avoiding eye area, each morning after cleansing and toning. 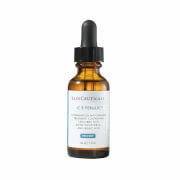 If a reparative product is to be applied, do so before applying Day Cream SPF 15. May be lightly reapplied several times daily as needed without smudging makeup. Night Cream: Apply to face and neck, avoiding eye area, each evening after cleansing and toning. Eye Cream: Apply a small amount to clean fingertips and gently tap cream around the orbital eye area after cleansing. Apply morning and night. May be lightly reapplied several times daily as needed over makeup without smudging. May also be used on the eyelid. For external use only. Should not be applied directly into eye. If contact occurs, rinse thoroughly with water.